This is the pK-12 Action Group’s second summer leading STEAM. Could you give us a little background about the origins of the STEAM camp and MIT’s partnership with CIS? 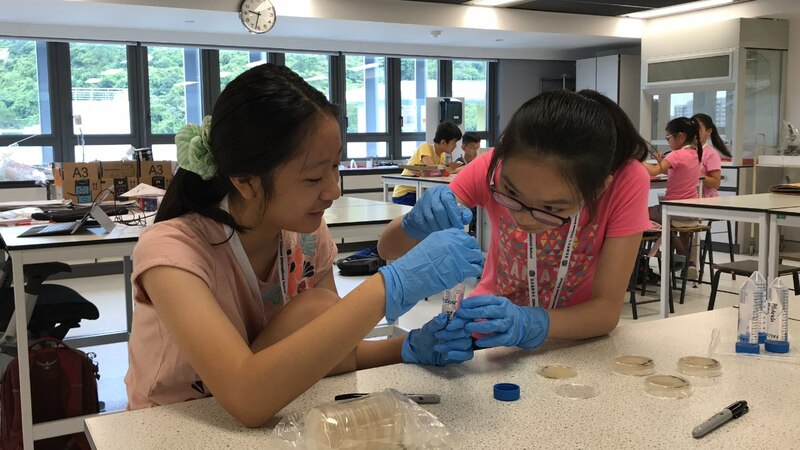 The MIT STEAM Camp is a unique program that was formed with the goal to bring MIT’s “mens et manus” approach to learning to Hong Kong. Hosting approximately 200 middle school-aged students and 30 teachers, participants engaged in hands-on activities and explored the use of digital technologies and tools that promote creativity, invention and collaboration. While the camp is centered at CIS, the program is available to participants from all around the Hong Kong area. This year’s theme was “Into the Water”—can you tell us a little about the different modules taught in the camp? Of course! We had six different modules this year that were developed by groups across MIT’s campus. DLCs that participated in the development of this year’s modules included the Edgerton Center (Engineering with Water), the MIT-WHOI Joint Program (Algae in our backyard : An ArtScience Exploration), the Materials Science and Engineering Department (Ocean Acidification), and the Sculpting Evolution, Personal Robots, and Lifelong Kindergarten groups from the Media Lab (Bring Your Own Water: Exploring Hong Kong’s Aquatic Microbiome, Waterkinesis: action at a distance mediated through EEG recordings of brain waves, Playing with Scratch). How long did you prepare for this summer’s camp? Can you give us an idea of some of the logistics involved in putting a project like this together? Preparation for this program involves many moving parts, especially since so many people are involved with the final result that the campers experience. Beginning in the fall following the previous camp, work begins to set the stage for the next year’s program. Grants are announced and awarded to develop new modules for the upcoming summer. Our team works with awardees to refine and package their module ideas into something that will offer a unique opportunity to the participants and fit within the summer camp’s schedule. 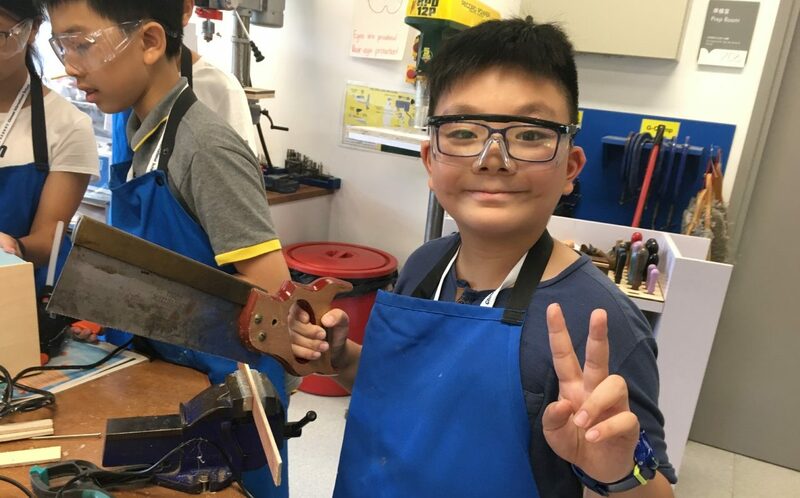 Parallel to this, the staff at CIS also works diligently not only to reserve and prepare a space for the program at their school but also to promote the STEAM Camp and to manage the students and teachers who will be participating in the summer. In the spring months, MIT students are recruited to be a part of the “Facilitator” team that makes its way to Hong Kong, and they work with the module developers to make sure that they are prepared to teach and run the activities that have been prepared. This includes being a participant in the activity themselves and occasionally running a playtest with students in the Boston area. This year, local teachers from Hong Kong also partnered with the module developers remotely to lend their expertise about the students and answer questions about local context. Finally, all necessary materials for the program are ordered, acquired, and shipped to CIS before our team arrives on location to run the program. That’s quite a process! Could you tell us about the role of the MIT student facilitators in making this camp a success? Finally, could you tell us about a favorite moment or moments from the camp? What parts of the project did you find most rewarding? Personally, the most rewarding moments occurred whenever anyone who participated (students, teachers, and staff) realized that they were capable of making or doing something that they hadn’t believed they could before. I saw this when students who had never used a hand drill picked one up and learned to drive a screw into a piece of wood. I saw this when teachers realized that they could build working circuits that could be used to supplement their classroom activities. I saw this when our facilitators realized that they had empowered their students to make their ideas a reality, even in their short time together.